Nestled in the heart of downtown Austin, our craft cocktail lounge and international hostel are located in the city's oldest standing fire station, built in 1885. Discover speakeasy charm in the Firehouse Lounge, accessible through a hidden bookshelf in the hostel lobby. The atmosphere is warm and inviting, further heightened by our selection of craft cocktails, prohibition-era drinks, and timeless attention to detail. 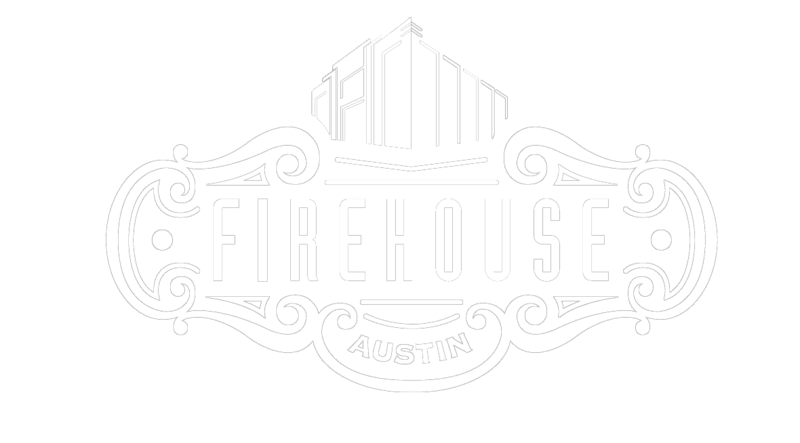 Featuring an eclectic mix some of Austin’s best-kept musical secrets, the Firehouse Lounge offers something for everyone, travelers and locals alike. Upstairs, our newly renovated hostel provides 21st century accommodations at the epicenter of Austin’s busy entertainment district. At Firehouse Hostel, we pride ourselves in offering rooms for every kind of traveler. With four types of rooms available for your stay, we offer four different levels of privacy and cost. Every room is comfortable and has access to the common areas like our kitchen and the onsite bar. Euro Rooms sleep up to four people and is a private room with a shared bath. Suites accommodate up to four people and not only offer a private bedroom, but a private bathroom as well. Each room comes with a minifridge. Deluxe Dorm rooms sleep up to six or eight people and feature private, built-in lockers under the super sturdy handcrafted bunk beds. Economy Dorm rooms have standard metal bunkbeds and metal lockers. Locks are for sale at the front desk. Complete with the old-world charm and original firehouse structure, the Firehouse Hostel of Austin, TX is filled with the ambiance of days gone by and Austin’s current cultural abundance. With rooms located on the upper floor of the oldest standing firehouse in Austin, Firehouse Hostel is only moments from the famous site of Austin’s nightlife, 6th Street in downtown Austin, TX. Located walking distance from such Austin highlights as 6th Street, Rainey Street, ACL Live Mood Theater, Austin Convention Center and the Texas State Capitol building, Firehouse Hostel gives you quick and easy access to the magic of Austin. Major music venues are close by and smaller live music options are endless in the live music capital of the world. Not only does Firehouse Hostel offer ambiance and access to fabulous after-hours fun, it boasts a helpful, knowledgeable, and friendly staff whose insight will direct you to all the best eats, shopping, outdoor activities, museums, and sights of your trip. Firehouse Hostel offers travelers the comforts of home. Every morning, you’ll be treated to a free breakfast to start your day off right. A kitchen and common area are also available for visitors. With clean, accessible bathrooms and free wi-fi, we’ve got the necessities covered. And if you forget some supplies, don’t hesitate to stop by our reception desk so we can provide you with a toothbrush, razor, or other travel supplies we always stock for purchase. Conveniently located, an eclectic mood, rich history, and cozy modern quarters filled with everything you need makes Firehouse Hostel a wonderful abode for your visit to Austin, TX.